Kiwanis Monument stands in recognition of those who contributed to the land in a different way. 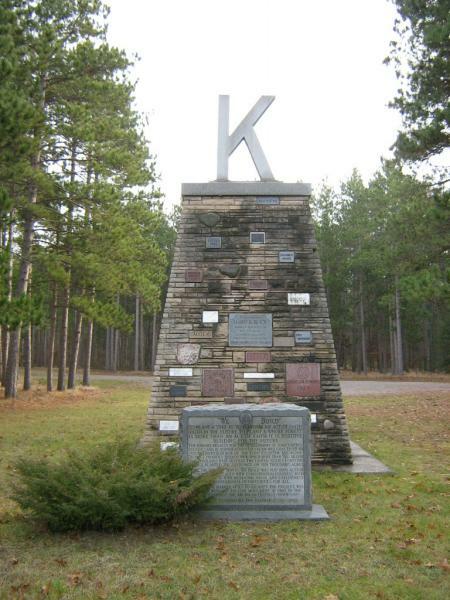 Erected in 1931, this monument honors the Kiwanis of Michigan for donating seven million red pine seedlings planted in the area by Forest Service. The result of this reforestation project is a red pine forest which now dominates nearly 10,000 acres. Planted between 1928 and 1930 these trees stand 70 to 80 feet tall and add one row of branches per year. The stones in the base of the monument, carved with the names of those who contributed to this effort, come from all over Michigan and truly represent a coming together of the people of Michigan.